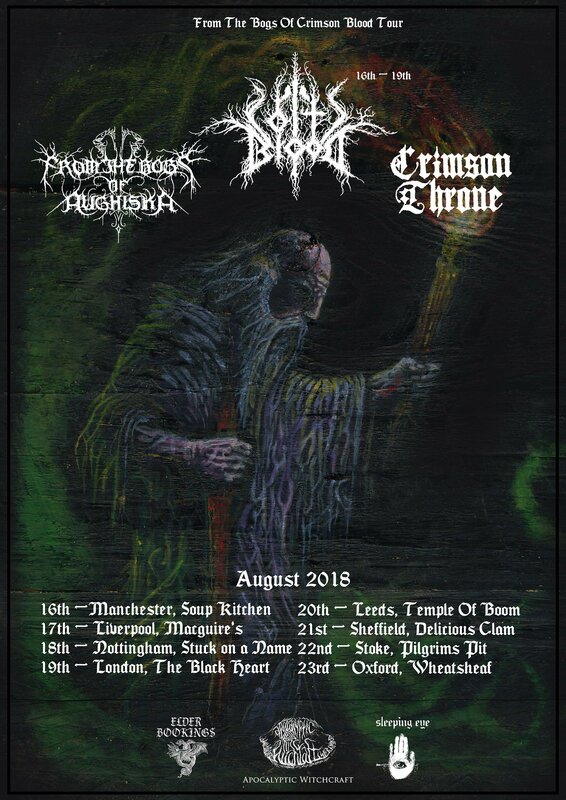 Irish Dark Ambient outfit FROM THE BOGS OF AUGHISKA are returning to the UK at the end of the summer for an 8 date strong tour and will be joined by doom trio COLTSBLOOD (16th – 19th Aug only) & black metal mob CRIMSON THRONE (all dates). Ahead of the tour, the band has been confirmed to play at this year’s edition of Open Ear festival on 2nd June 2018. Open Ear is an intimate art & music festival that runs from 31st May – 3rd June 2018 and takes place on the picturesque Sherkin Island just off the coast of Cork, Ireland. The band will appear alongside acts such as Steven Stapleton (Nurse With Wound), Autumns, Laura Sheeran and Somadrone.